Since established in 2006, the Center has hosted a diverse array of projects and seminars supporting continuing innovation in the practice, expression, and theorization of ethnography. Over the years, the Center has experimented with an array of tactics, including Ethnocharrettes, Para-sites, and many modes of collaboration. In 2018-2019, the Center will extend its outreach, inviting new affiliates (individuals and organizations) and participation in a suite of programs. The Center’s running seminar series -- Tuning Ethnography -- will focus on the interlacing of ethnography and digital infrastructure, enacted through varied engagements with the Platform for Experimental Collaborative Ethnography. 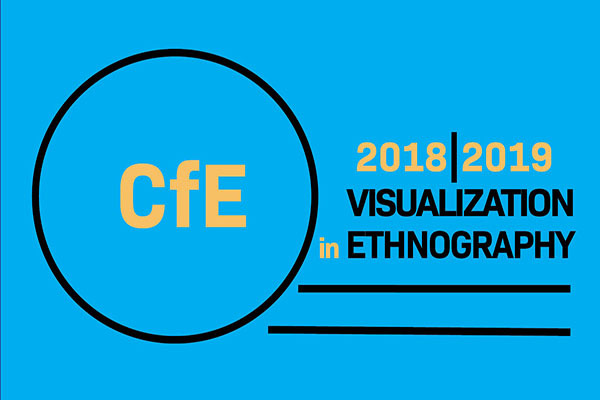 The Center’s 2018-2019 annual program, Visualization in Ethnography, will involve a thematic seminar: Visualization Across Disciplines, a design project: Visualizing Toxic Subjects, and a Field Works project: Soiled Grounds. Subscribe to the Center’s mailing list and get in touch to participate in this year’s annual projects. Sessions are now being held at UCI for Visualizing Toxic Subject participants to meet on a regular basis to discuss our VTS images and work together to develop a useful terminology for discussing both toxicity and different modes of ethnographic visualization. All participants are welcome to join us in person or by calling in online to work collaboratively on our images and captions. If calling in online, please email jradams1@uci.edu so that we can set up a Zoom meeting. Session 5: Monday, March 18th from 12:00-2:00 pm in Room 3200 of the Social and Behavioral Science Gateway. Session 4: Monday, March 4th from 10:00-12:00 pm in Room 3200 of the Social and Behavioral Science Gateway. Session 3: Monday, February 25th from 10:00-12:00 pm in Room 3200 of the Social and Behavioral Science Gateway. Session 2: Monday, February 11th from 10:00-12:00 pm in Room 3200 of the Social and Behavioral Science Gateway. Session 1: Monday, February 4th from 12:00-2:00 pm in Room 3200 of the Social and Behavioral Science Gateway. The Center's current and ongoing design project, Visualizing Toxic Subjects, will conclude with the online publication of a digital collection and a gallery exhibit during the last week of May in the UCI Student Center. Together these collections experiment with visualization by adapting traditional forms of ethnographic expression to explore the constraints and affordances of both digital and gallery images. Representing the culmination of the Center’s first year-long PECE collaboration in experimental design, the digital collection of photo essays evokes the genre of the edited volume in a new, visually-oriented and multimodal form. In complement, the gallery display alludes to the museum exhibits of older forms anthropological expression, while also exploring the contemporary merits and issues posed by the gallery as an eclectic and comparative mode of visual ethnographic expression. The Spring 2017 workshop on collaborative projects conceived and held at the Center for Ethnography will appear as a volume titled “Collaborative Anthropology: a Collection of Exceptions” edited by Dominic Boyer and George Marcus at Cornell University Press. It is the third volume in a series, reassessing ethnography as a method in changing times. Each volume is the result of a workshop organized and conceived at the Center for Ethnography.